arnataka state was formed on 25 October 1947. Since its formation the state was known as the Mysore state. Mysore is known as the Karnataka since 1 November 1973. Karnataka has Bicameral Legislature i.e 224 seats in Legislative Assembly and 75 in Legislative Council. K.Chengalaraya Reddy of Congress was the first Chief Minister of the (Mysore) Karnataka state. Mr. Reddy served as the Chief Minister (CM) from October 25, 1947 to March 30, 1952. President's rule had been imposed 6 times in the Karnataka; most recently was during November 20, 2007 – May 29, 2008. In the recently held Karnataka Legislative Assembly elections; BJP emerged as the single largest party by securing 104 seats. B. S.Yeddyurappa of BJP has sworn in as the 25th (in person) Chief Minister of the Karnataka. It is worth to mention that majority of CMs of Karnataka belonged to the Indian National Congress Party. 1. 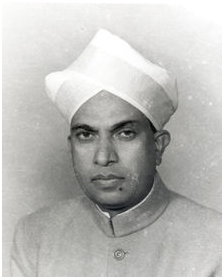 S. Nijalingappa of the Congress Party became Chief Minister for 4 times. 2. The longest-serving chief minister, was D. Devaraj Urs,he held the office for over 7 years in the 1970s. 3. 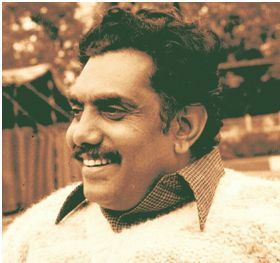 As a Janata Party member, Ramakrishna Hegde served the most number (3) of discontinuous terms. 4. Congress's Veerendra Patil had the largest gap between two terms (over 17 years). 5. B. D. Jatti, served as the country's fifth Vice President. 6. H. D. Deve Gowda cut short his tenure as Chief Minister (1994–96) to become the Prime Minister of India.